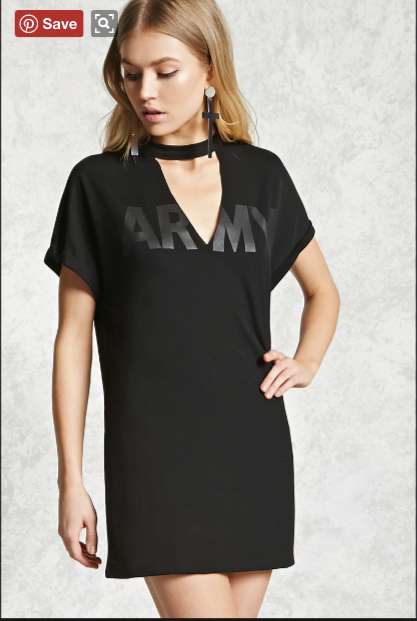 Did Military Spouses Make “Forever 21” Stop Selling Their Cut Up Army PT”s? 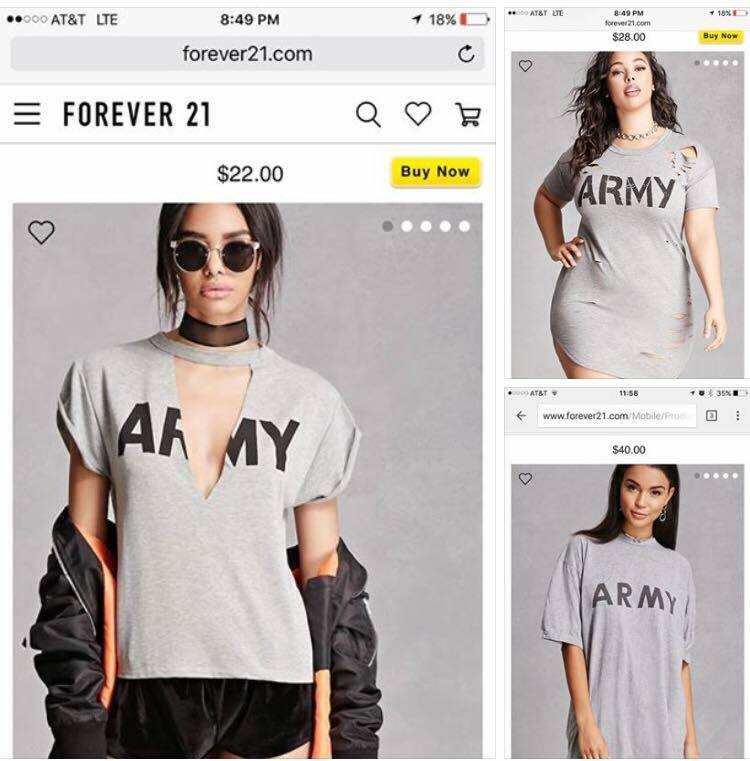 There’s a viral social media frenzy happening over the release of several Army PT tee shirts to Forever 21’s Army Tee’s line (not the official name but it should be). If you’re involved even just a tiny bit in the online milspouse community, you’ve probably seen quite a few screenshots of the PT looking tees that have been shredded and turned into various pieces including a “choker dress” and a “tee shirt dress”. This isn’t the first time something like this happened. Remember the Kylie Jenner debacle? Various popular military sites shared and received comments from military personnel and milspouses who shared varying opinions on the shirts. Another point of contention was the price tag which ranged anywhere from $15-$40. Some milspouses were less mad and more inclined to take their spouse’s old PT’s and start their own tee shirt making businesses. 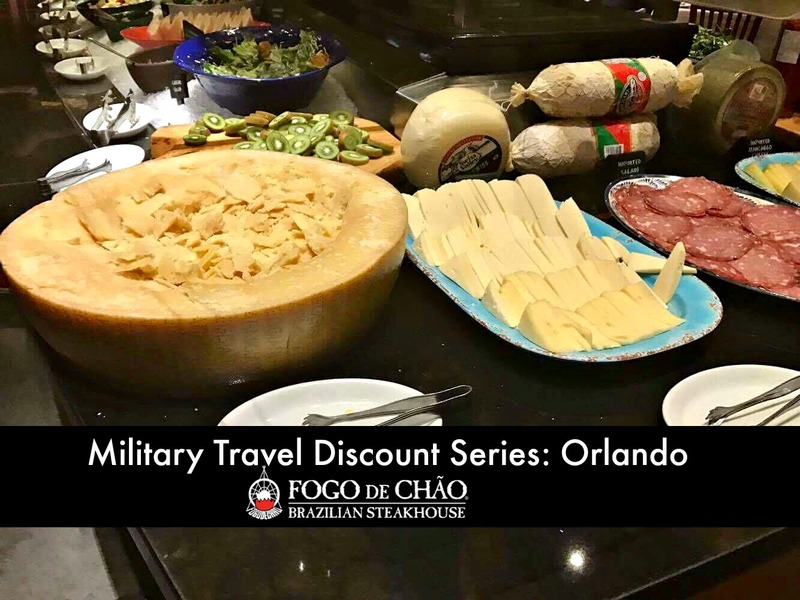 While many brands seem to have an obsession with military related pieces, this one seemed to rub some the wrong way. runs to tuff box and grabs handful of tshirts, cuts them fashionably, takes pictures, posts on etsy, sits on chair, and waits for $$$$ to roll in ? ? ?‍♀️ ? ? ??‍♀️ ? ? ? ? ? This is so disrespectful. A civilian store should not be selling anything like that. Does that really say $40? I got a whole closet FULL of PTs. Let’s have a cutting party and we can all be rich. Omgsh… I have been in this style for like 10 years now…. and this is so the old army look… lol. ? This 7 years ago is also known as my “tired new mom of a new born” throwing my husbands PT shirt with leggings to go to an apt, Hahahaha. I just wish they would bring back the marshmallows pt’s… them things were a fluffy cloud of heaven… now that…. I would buy… but it has to feel like the real ones used to. ? Why is this a fashion statement? One of the most disrespectful things I see is people wearing our uniform improperly as a part of fashion, whether it be PT’s or any piece of the combat uniform. These uniforms symbolize so much more than a “look”. Very disappointing. I think this could be worn in a stylish way. I’d wear it with just long knee high boots, a choker and have a fun night out with the hubs and friends. I have a couple of shirt dresses that look like this and they’re honestly my favorite. I guess it just depends on what your taste it ? ?‍♀️ ??‍♀️ ? ?‍♀️ the fact that it’s an army PT shirt doesn’t bother me however, that may be because my husbands AF. Hey to all you screaming that this is disrespectful. Most of my Army friends find this hilarious myself included and we have all been deployed. If any of you want to wear our crusty old p.t shirts we have tons lol you can get for free and chop up. 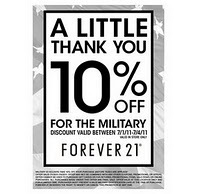 Forever 21 has lost my business….. As a retired veteran I find this disrespectful…. 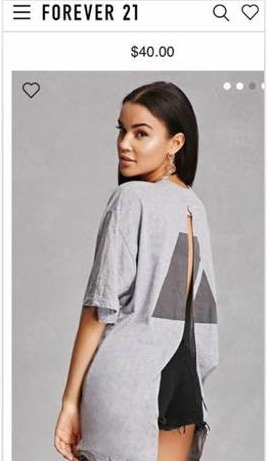 This is something earned not something to be sold as a fashion trend. Lol can I charge Nordstrom prices if they have red stains from the dirt here in Hawaii? Why is this disrespectful. It’s fashion. Anyone can go online & buy “army” shirts and whatnot anyways. oh wow. Army’s changing the PT shirt so we can all grab the old ones ? ?lez do some parties ladies ? This morning when we logged on to the Forever 21 website we noticed that some of the shirts in this discussion were missing? Is Forever 21 listening? While the tee shirt dress (at the top of the page) and the Army Hoodie (not pictured) still appear we notice the shredded/choker tees (above) are no longer showing up. We’ve reached out to Forever 21 for comment. We’ll let you know if or when they respond. 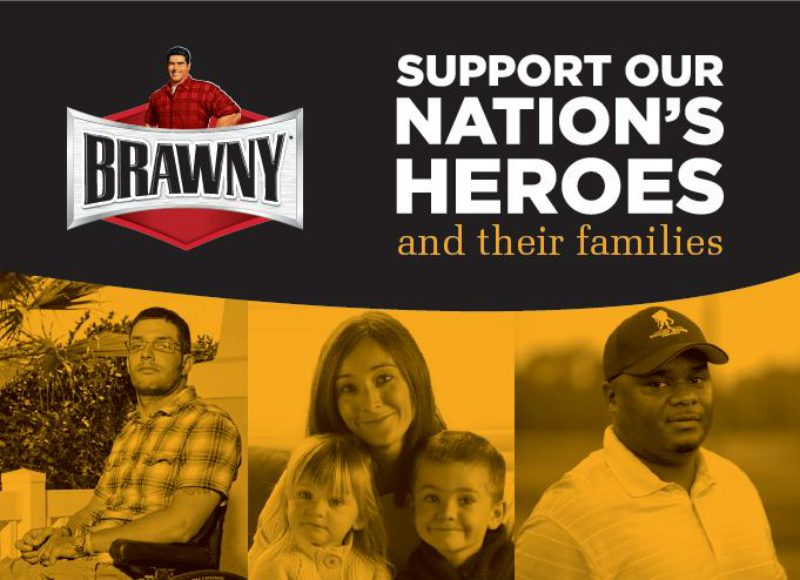 WeTV Seeking Southern California Military Family to Appear on New Show!